It’s hard to imagine running a successful business without a strong social media presence these days. Your existing and potential customers tend to search for their desired products or services on social media platforms, like Facebook, Instagram or Pinterest. Customer service very often takes place on Twitter. Creating content and taking care of its distribution is a very resource-consuming task. There is nothing less appealing than a social media channel of a brand where you can find random, old photos and outdated information. Why Should You Use a Social Media Platform? The simple answer is: because that’s where the sales happen! Your clients and competitors are already there. Customers are actively looking for products or services they need, exchanging opinions about their purchases or looking for excellent customer service. You simply need to be there. It’s all backed up by data. According to Sprout Social, 21% of consumers prefer Twitter to traditional customer service channels. Social media gives you an opportunity to measure the results of your social media campaign. When you advertise with traditional means, for example with an ad in a newspaper or on TV, you can’t measure the reach of your ad. the number of positive and negative mentions – it’s not enough that your posts generate social media buzz, it has to be positive to have an desired impact on your audience. That sounds like an easy question. Most of the articles will probably mention the big three – Facebook, Instagram and Twitter as a must-have, and maybe add Pinterest, YouTube and Snapchat to the list. The logic behind these recommendations is, in my opinion, quite flawed. Most people follow this path of thinking – of everybody is on Facebook or Instagram (and these two social media channels have over 3 billion monthly active users combined) I must create an account for my business as well. That’s not true. The fact that many people are using a specific social media channel doesn’t mean that your audience is using this platform. Moreover, there’s no golden standard when it comes to your social media presence. You won’t be able a one-size-fits-all solution and provide valuable content on multiple platforms. The key to successful social media marketing is choosing the platform which your audience is already using. The question remains – how to choose the right social media platform? With a little help from a social media listening tool, of course! 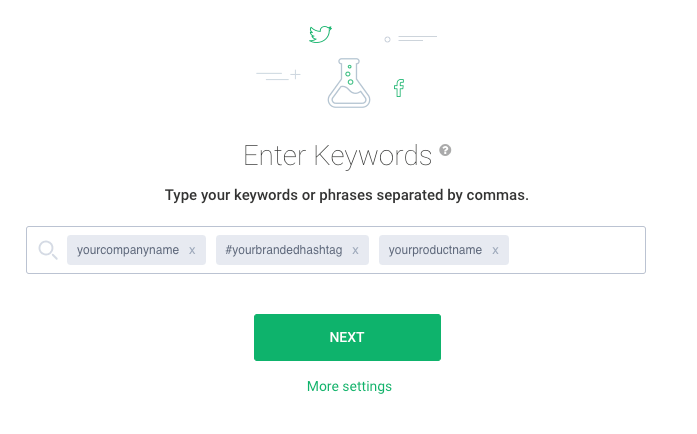 Take a look at Brand24, one of Buffer’s top social media monitoring tools. general terms related to your industry. Brand24 will begin to collect all publicly available mentions from the Internet. Social media listening tools, in general, don’t collect historical mentions, so give Brand24 some time to work. Sounds interesting? Give it a spin! Brand24 offers a 14-day free trial, no credit card required! You’ll find the data you’re interested in, in the Analysis tab. It’s worth noticing that you can freely adjust the time range, so you get precisely the results you need. The calendar is in the top left corner of the page. 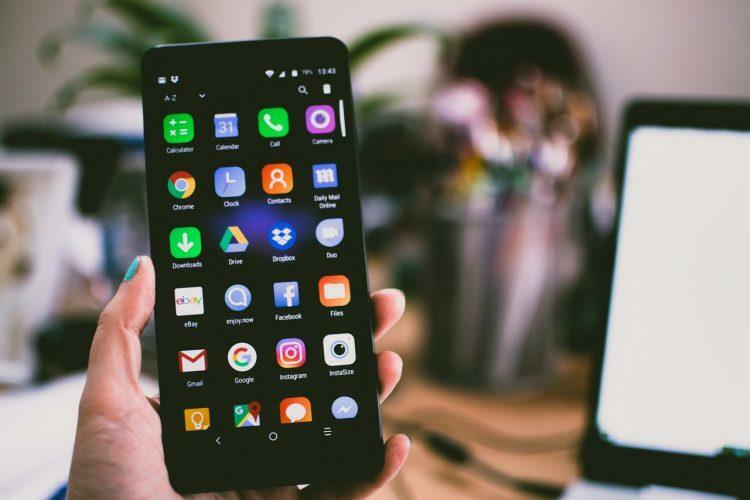 There are many interesting statistics in the Analysis tab, which you can use once you identify the right social media platforms for your business. 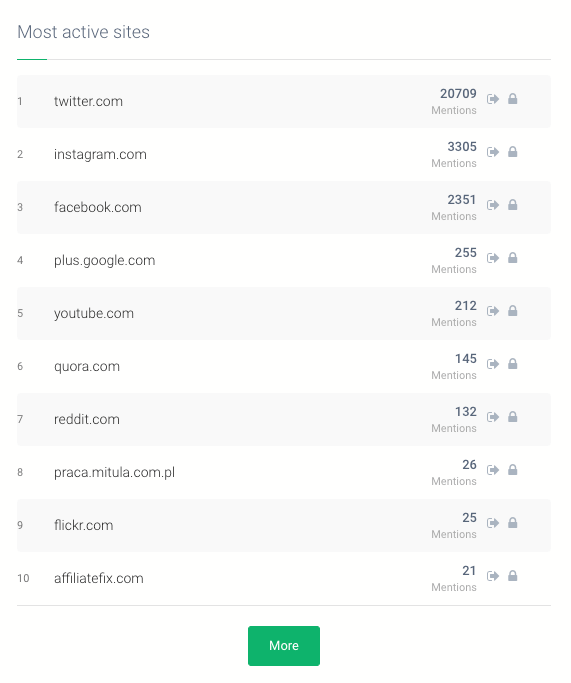 For now, take a look at the Most active sites section. This section groups sites with the highest number of mentions for your predefined keywords. Depending on your business niche, the best social media platforms will be different. When it comes to Brand24 the most active sites are Twitter, Facebook, and Instagram. But we have Quora and YouTube right behind the podium. Which means that we should focus on Twitter in our social media marketing strategy. Quora and YouTube are areas we could explore some more. So, we focus on Twitter and Facebook and give less attention to Instagram, since the majority of our audience tweets and scroll Facebook on a daily basis. We’re just getting started, so keep a close eye on our YouTube channel. There will be many more interesting films and clips to see! But it might be different in your case. For example, Jamie Oliver, the British cook, is popular on Twitter and Instagram, but Facebook is not his social media platform. Brand24 will also show you the number of mentions for each social media platform. The difference between platforms might be insignificant in term of the number of mentions. It’s worth taking a more in-depth look at not so popular platform? Here’s why! First of all, the competition should be much lower as not every brand is an early adopter who wants to explore a new social media platform. As a trendsetter you’ll be able to develop a brand new strategy and, therefore, set up rules on the new platform. The first user gains a competitive advantage. Which Social Media Platform Has the Highest Engagement? Hopefully, you know the answer to that question now. A social media platform with the highest engagement is the one where your audience is present. But that’s not the end of your work when it comes to social media marketing on your chosen platform. You have to provide valuable content on a regular basis, answer your customers’ queries, reply to messages and much more.